During the 84th Legislative Session, House Bill 1317 charged the Texas Governor’s Committee on People with Disabilities to study accessible parking issues. 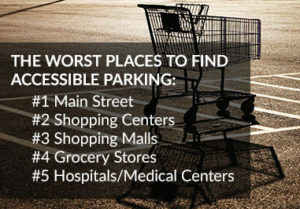 Areas mandated for study included accessible parking laws and requirements in Texas and other states; the ADA and related federal regulations, 2010 ADA Standards for Accessible Design, and 2012 Texas Accessibility Standards; and accessible parking policies for state-owned parking lots and the Texas State Capitol grounds. This report discusses findings that emerged from data gathered from sources including public testimony, surveys distributed to persons with disabilities and businesses, state multi-agency meetings, and similarly-situated organizations in other states.